Today, we talk about the so long maligned, the so often ridiculed, but now, mostly ignored, Pyrovore! Hey everyone, Danny from TFG Radio here to yet again talk about everyone’s burning desire: Tyranids! Flamespurt: Range 10”, S5 AP -1 D1 Assault D6 autohits. Acid Maw: S5 AP -3 D1 melee attacks. Volatile: When a model dies, on a 4+, the nearest enemy within 3 takes a mortal wound. Acid Blood: For every wound lost in melee, on a 6+, the attacking unit suffers 1 mortal wound. The Pyrovore has a decent statline at T4 with 4 wounds (and wounds are the big thing here), but they are not exceptional in that department. Their weapon and special rules is where we start to see the pieces come together. The Flamespurt is now a 10 inch heavy flamer, which is actually crucial as it means a Pyrovore can drop out of reserve and still flame down a target while other flamers are out of range. This really is what opens them up as an offensive unit as being able to hit a unit with an auto-hitting weapon is just sweet, sweet, sweet. 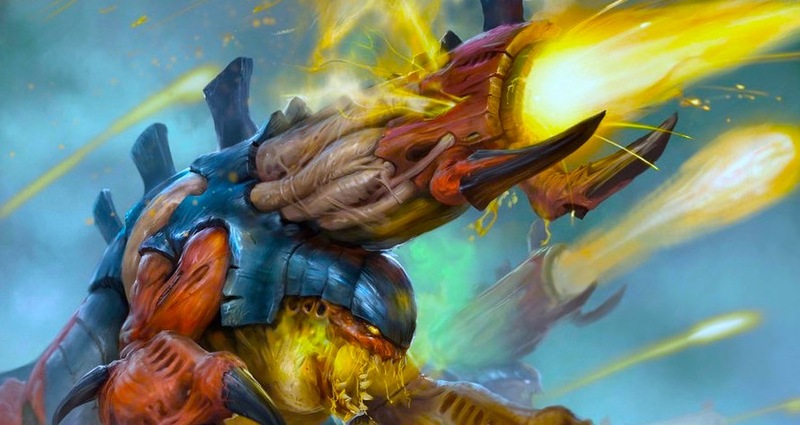 As Tyranids aren’t always the best at dealing with a lot of negative modifiers, the Pyrovore is solid choice against anything that relies on -1/-2 to hit. With S5 and -1 AP, they are well-suited to handling both chaff units as well as more moderate infantry like power armor, and even against vehicles, wounding on 5s isn’t ideal but can still be the final punch that brings the vehicle down. Throw in that they are infantry, and you can double-tap them for up to 6d6 hits. Rangers in cover you say? That’s nice. Where I see Pyrovores shine is as a defensive unit and objective holder. Charging a unit of Pyrovores is risky as only an 11 or 12 inch charge avoids their overwatch (or out of LoS as always). Pyrovores are great anti-melee threats as few units want to take a 3D6 S5 AP -1 hits. 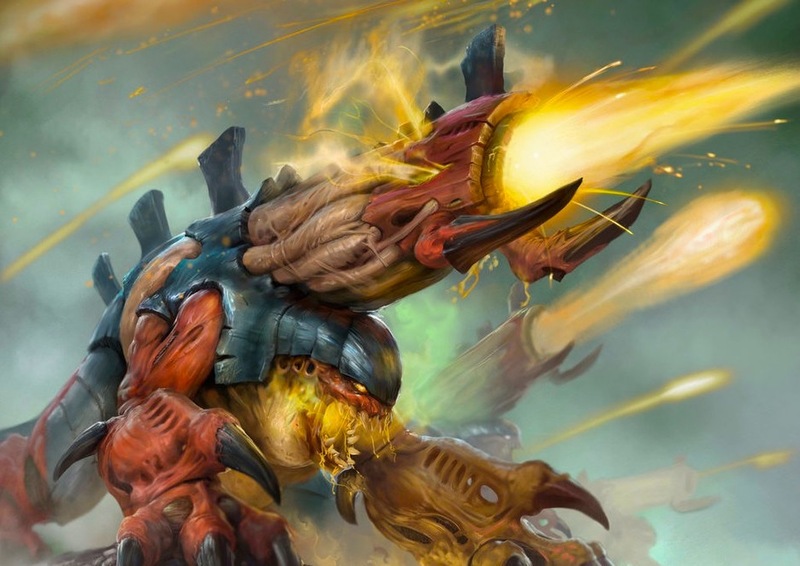 Even the all too common T4 with a 3++ character will suddenly have to expect 2.3 wounds from overwatch, and that makes them just a Smite away from death, and it is not like Tyranids lack the ability to throw out a Smite or two. Wounding them is dangerous as well as for every wound they lose, there is a 16% chance of a mortal wound in return, and when one dies, there is a 50% chance of another mortal wound. Calculating all of this for a unit of 3, that’s 3.5 mortal wounds for wiping a Pyrovore unit in melee, and with the overwatch, that is a no-good scenario for any fast, melee beatstick characters. Acid Maw is also better as each Pyrovore is a melee threat with a S5 AP -3 weapon, and so they excel at hurting elite, well-armored targets like Space Marines. They don’t have too many attacks and are only WS 4+, but for a unit that wants to shoot, they fight well enough. They are only 116 points for a full unit, and while that is almost 4 Ripper squads, you can generally be safe in knowing that anyone trying to take an objective is going to have to pay in blood to do it. 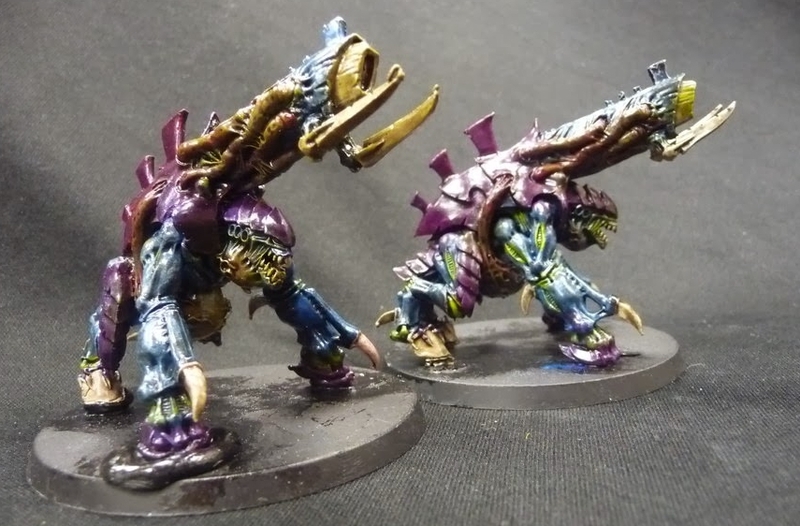 Hive Fleet isn’t really a huge factor here save for two. Jormungandr really complements the Pyrovore as the +1 armor save to shooting brings them up to a reasonable 3+, but more importantly, you can bring them in from reserves on the cheap with Raveners. For 187 points (oh yah), you get to have the Pyrovores pop out and flame something down, and well, if they are a melee army, you have a tricky proposition about how to deal with them. While the Raveners aren’t going to do a ton of work, if they live, they are fast and can go grab objectives or harass weaker units. Kraken is also a nice choice as Pyrovores are slow, so a 3d6 advance really, really helps them walk up the board and get into flame range. With Kraken, their threat range goes up solidly, and even using Opportunistic Advance to double their advance means that a Pyrovore squad can threaten a unit up to 27 inches away. Not too shabby. All the others are really not all that helpful to the Pyrovore and don’t add anything too useful. The downside is their unit size more than anything. While being able to take 10 would be super overkill, there has to be a happy medium. A Tyrannocyte costs more than a full squad, and 3 is just not enough punch to really justify them in most cases unless you make them shoot twice, and well, that stratagem is really for Hive Guard. A max squad size of 5 or 6 would go a long way to making sure these babies see play because if I could take 5-6 in a single unit, I would, almost every game. If for whatever reason these firebugs are not Kraken or Jormungandr, they need a delivery system to be used offensively. Walking 5+d6 inches up the board is not all that great, and any shooting can threaten them. They are only T4 with a 4+ save, and every wound they lose in shooting or psychic phase is a possible mortal wound you can’t throw out. You do not want them dying to shooting, and if they have to walk up the board slowly, they are going to get shot by any savvy opponent before they roast some biomass. It is a bit odd to spend more on a transport than a unit, so having to pay double their points just to guarantee they get a good hit in is just not worth it. 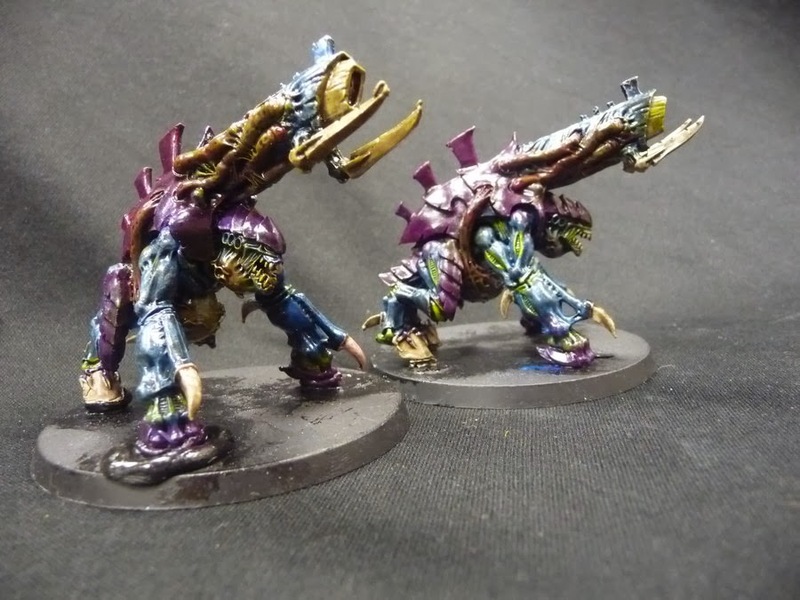 When you factor in Tyrannocyte, for the points, you could either have a Flyrant or almost 20 Genestealers. Clearly, there are better choices. That is a common theme amongst many of our bugs, but it is true. Hive Guard are a better target for Single-Minded Annihilation. You get more board presence and objective holding with 4 units of Rippers. Really, Pyrovores can do work, but if you are planning on taking a highly efficient list, they are typically not the best choice. 68/100. Just failing, but still enough of a base that they can be workable if you are canny. They can do some work, but really, they need to roll a bit deeper to be legitimate threats. ~Thanks as always for reading, and let’s buckle up for the roller-coaster of emotions that will be this years Chapter Approved!